The overall winner of the third FreeFrom Eating Out Awards was the Labyrinth Holistic Café http://www.labyrinthholisticcafe.org/ , a community cafe in Stockton on Tees. 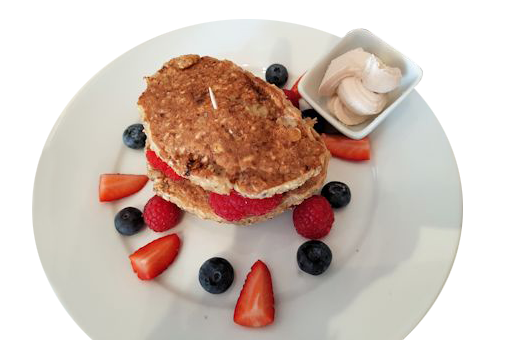 This café operates a 100% gluten free kitchen, is accredited by Coeliac UK and offers lacto free, dairy free, egg free, vegetarian and vegan dishes. Ray and I are looking forward to visiting there next year. Now in their third year, the FreeFrom Eating Out Awards http://www.freefromeatingoutawards.co.uk aims to build awareness and reward ‘free from’ excellence in foodservice, as well as recognising the best allergy and gluten free friendly restaurants, cafes and other foodservice outlets. I was pleased that one of my local ‘free from’ restaurants The Willow in Kingston upon Thames, Surrey, http://yourwillow.co.uk/ was not only one of the runners-up, but also one of the Gold winners in the restaurant category. The menu has symbols for every dish, so it’s easy to see at a glance what you can or can’t eat. The smoky kale crisps as a starter are a must. There’s a good selection of main courses, both dairy free and gluten free such as Fusion Salmon ‘n Salsa. The choice of desserts is impressive – Willow carrot and courgette cake or rosemary infused pear sorbet, both of which are gluten free and dairy free. It also has 13 gluten free beers on draught. 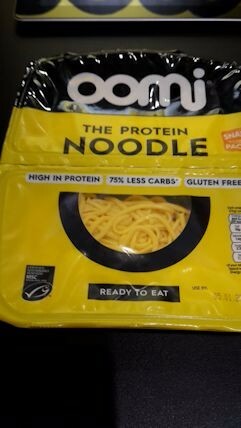 One of the best discoveries at the exhibition was Oomi gluten free ready-to-eat noodles www.oominoodles.com which are high in protein and have 75% less carbohydrates than regular egg noodles. 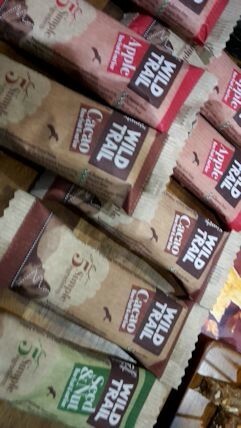 I sampled some on the stand – delicious! You can throw them in the wok or warm in the microwave or add them, cold, to salads. Available from Ocado. Attractive yellow packaging. 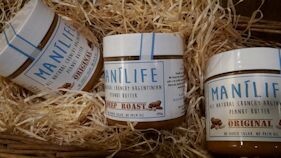 I enjoyed tasting Manilife www.mani-life.com Argentinian peanut butter, both gluten and dairy free, with no sugar or palm oil, available online. 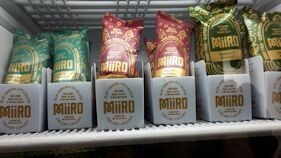 Another treat was sampling the new dairy free, sugar free and gluten free ice cream lolly from Miiro www.miiro.co.uk in three flavours – salted caramel, vanilla and peanut butter and chocolate hazelnut. This will be in the shops in February 2017 – will keep you posted. 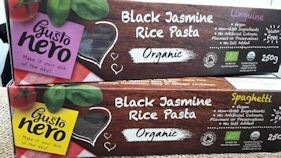 Gusto Nero www.gustonero.co.uk launched its Organic Black Jasmine Rice Pasta from Thailand, which is gluten free and vegan. in a variety of formats such as fusilli, macaroni, spaghetti. Available online. 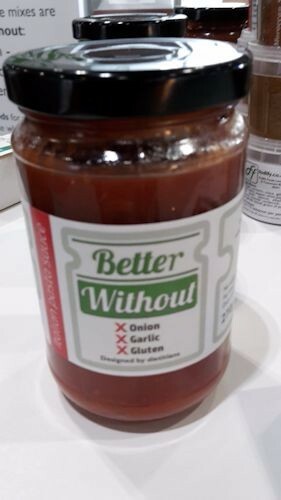 “Better Without” is a new curry and pasta sauce from Fodify Foods www.fodify.co.uk , which is dairy free and gluten free, has no onion or garlic and uses low FODMAP ingredients. See the web site for more information and online sales.